A perfect quick lunch that will literally take you 15 minutes! I know normally when people say this, it ends up taking me at LEAST half an hour, but this is actually takes 15 minutes and tastes delicious! Perfect as a side dish, or serves over couscous for a light lunch. If preparing couscous, put desired amount in a bowl and add boiling water and cover with a plate. Leave for 10 minutes, while preparing the vegetables. Put extra virgin olive in a cold pan with garlic and heat slowly so garlic infuses with oil. 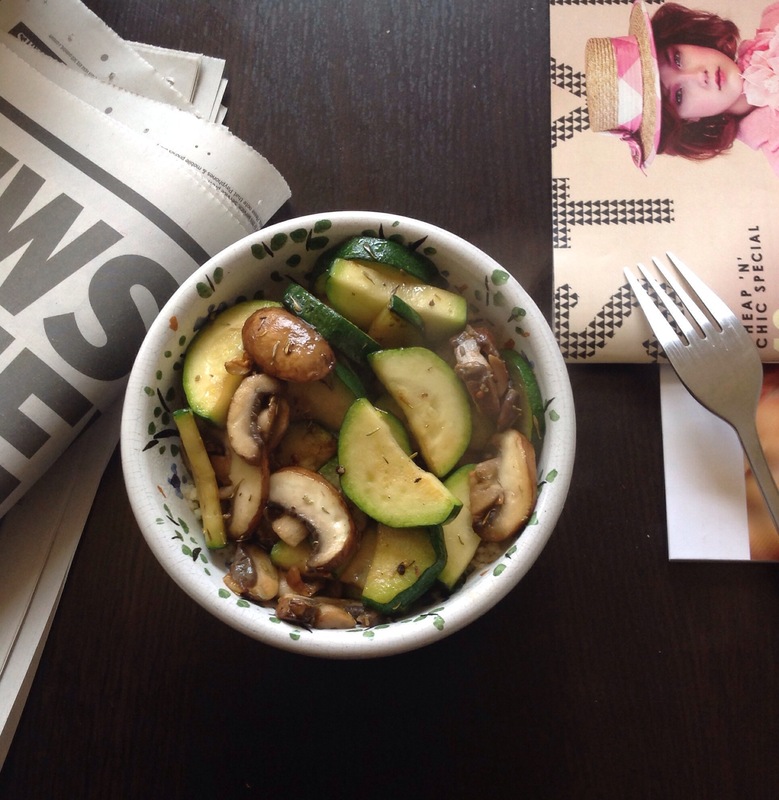 Add zucchini and sauté for a minute then add mushrooms. Add thyme and wine, letting it evaporate and turn heat to low. By this time, your couscous should be ready. Fluff with a fork and add olive oil and a dash of apple cider vinegar for flavour. Spoon vegetables on top and it’s ready to eat! 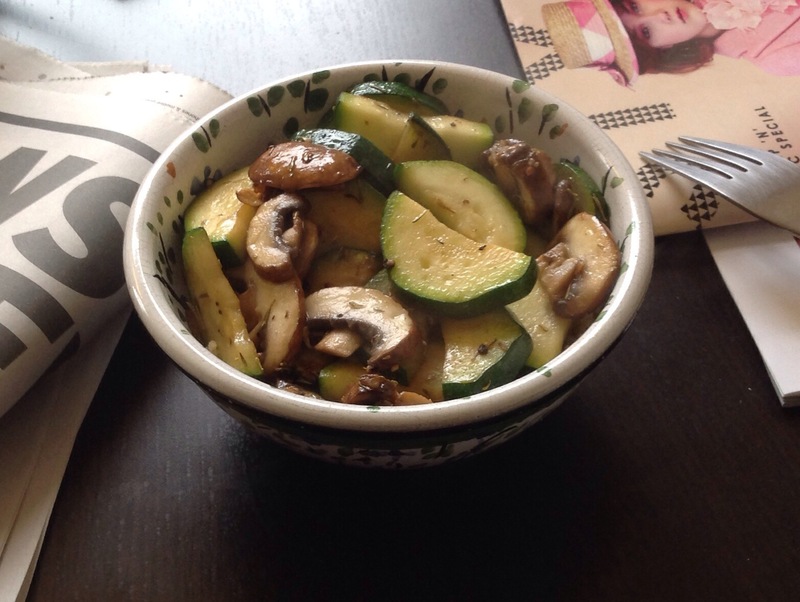 Delicious bowl – I love zucchini and mushrooms together!